Over 300 faculty members, staff, students and alumni of the National Law University, Delhi have issued a joint statement standing in solidarity with human rights lawyer Sudha Bharadwaj, who was arrested by the Maharashtra Police yesterday in connection with the Bhima Koregaon violence. Ms. Bharadwaj is a visiting faculty at the college. The Statement highlights Ms. Bharadwaj’s contributions to the development of legal jurisprudence as well as lauds the knowledge imparted by her at NLU-D. It says, “Her extensive contributions to labour law, development, environment, women’s rights and access to justice has seen Sudha Bharadwaj being invited to the National Judicial Academy, state judicial academies, and also nominated to the governing body of the Chhattisgarh State Legal Services Authority. NLU Delhi has been exceptionally fortunate to have benefitted from her presence on the campus and in our classrooms. It then condemns her illegal detention, alleging that despite High Court orders to the contrary, she was not taken to her home, and her whereabouts were not disclosed to her family or her legal team. “This blatantly illegal action is evidence of the vindictive nature of the entire exercise of raiding and arresting human rights lawyers, activists and defenders across the country,” it states. The Statement further goes on to oppose the wave of arrest of activists throughout the country, and highlights the value of dissent in a vibrant democracy, stating, “We, citizens of India, vehemently oppose the use of the police, government resources and state institutions to systematically target and intimidate human rights defenders who have dedicated their lives to working for human rights. This flagrant abuse of state power to persecute and endanger those who uphold the Constitution and its core values threatens the foundation of this nation. 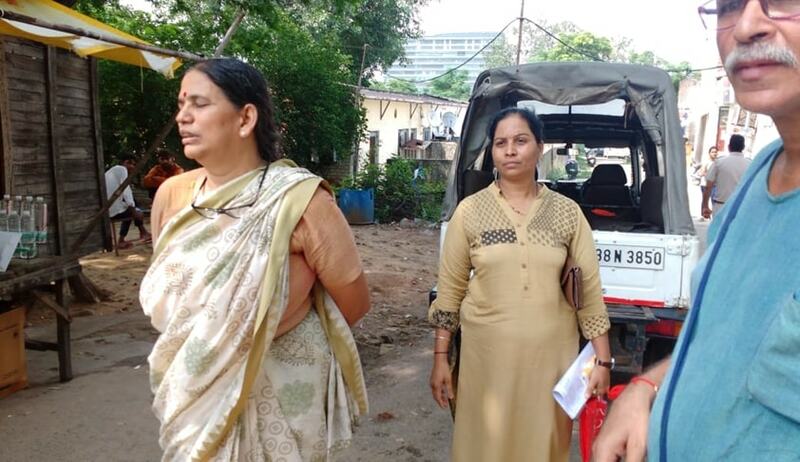 It may be recalled here that after her arrest by the Maharashtra Police from her residence at Badarpur border in Haryana yesterday, the Chief Judicial Magistrate had given transit remand of Ms. Bharadwaj to Maharashtra Police, for taking her to Pune. However, a habeas corpus petition was filed before the Punjab & Haryana High Court through Ankit Grewal, seeking her release from the alleged illegal custody. Issuing notice of motion for August 30, Justice Arvind Singh Sangwan had then directed to keep Ms. Bharadwaj at her house under the supervision of SHO PS Surajkund, Faridabad, Haryana until then. Meanwhile, Ms. Bharadwaj was being taken to the airport by the Maharashtra police as per the transit remand passed earlier. However, once the High Court order was issued, the police took her back to the CJM, with an application to issue further orders in compliance with the High Court direction. This had led to a dramatic midnight hearing at the CJM’s residence. We, the faculty, staff, students and alumni of National Law University, Delhi stand in solidarity with our colleague, professor, and friend, Sudha Bharadwaj who was arrested on 28th August 2018 allegedly in connection with the Bhima Koregaon violence, and was held in illegal detention in contravention of the Constitution of India and in defiance of orders of the Punjab and Haryana High Court. Sudha Bharadwaj is an embodiment of the best in our profession - a fearless critic of governmental lawlessness, an emphatic and empathetic advocate amplifying the voices of those who are rarely heard within the corridors of power, and a beacon for future generations of lawyers in this country. Through her advocacy, her teaching, and her life, Sudha Bharadwaj exemplifies the transformative role of a lawyer in a society like ours. We can only hope to be as brave, insightful and conscientious as her in our work and our daily lives. Citizens like Sudha Bharadwaj are the reason that our democracy lives and thrives. Her extensive contributions to labour law, development, environment, women’s rights and access to justice has seen Sudha Bharadwaj being invited to the National Judicial Academy, state judicial academies, and also nominated to the governing body of the Chhattisgarh State Legal Services Authority. NLU Delhi has been exceptionally fortunate to have benefitted from her presence on the campus and in our classrooms. In the year that Sudha Bharadwaj has been at NLU, Delhi, she has been an inspiration for her students and colleagues. Despite her work on redressal of some of the gravest injustices in our country, she maintains an unwavering commitment to the vision of the Constitution and constantly emphasizes the use of constitutional methods in addressing injustice. We, law teachers, lawyers, law researchers, and law students, protest against the illegal detention of Sudha Bharadwaj in defiance of the orders of the Punjab and Haryana High Court. Yesterday, the High Court ordered that Sudha Bharadwaj be kept at her home pending the decision, following due process, on her transit remand. However, till late in the evening, Sudha Bharadwaj was not taken home, and her whereabouts were not disclosed to her family or her legal team. This blatantly illegal action is evidence of the vindictive nature of the entire exercise of raiding and arresting human rights lawyers, activists and defenders across the country. We, citizens of India, vehemently oppose the use of the police, government resources and state institutions to systematically target and intimidate human rights defenders who have dedicated their lives to working for human rights. This flagrant abuse of state power to persecute and endanger those who uphold the Constitution and its core values threatens the foundation of this nation. President Radhakrishnan had urged universities to not be prisoners of the past but to instead be pilgrims of the future. As those dedicated to the task of imagining a better future for this country, we condemn, in the strongest possible terms, the state’s systematic suppression of dissent and the shrinking space for contesting injustice. We demand that the government stop its vendetta against human rights defenders, and recognize the value of dissent in a vibrant democracy.